BASIS Charter School is exploring the possibility of expanding into Baton Rouge for the 2018 school year! This is a great opportunity for Baton Rouge parents to learn about and explore alternative options for educating their children in the Baton Rouge area. We all want the best for our children educationally. The question, and sometimes dilemma, is how do we achieve this? The more options we have the better, all children are different and usually learn differently too. 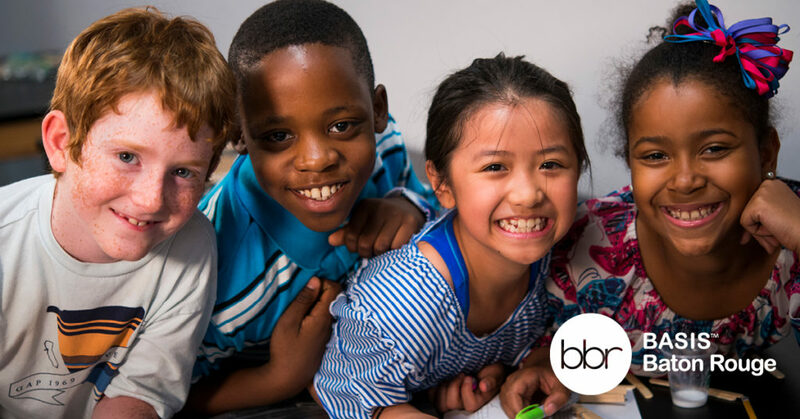 BASIS Charter School is open and transparent about their learning culture because they understand that choosing a school is an eminently personal decision. What is a BASIS Charter School? The nationally-ranked BASIS.ed academic program was founded on the notion that any student can be taught to love learning. Thanks to their passionate and supportive K–12 subject expert teachers and STEM-inspired, liberal arts curriculum, BASIS students are prepared for future successes in higher education and beyond. BASIS.ed students consistently rank among the top in the world in critical thinking and problem solving in math, reading, and science. A BASIS.ed education is a blend of the rigorous standards seen around the world plus the ingenuity and creativity so often associated with American education. In their K–4 program, students are not just taught content, but also the necessary skills of organization, time management, and study habits. The BASIS.ed curriculum includes a wide array of classes ranging from English and Math/Science to Mandarin, Physical Education (both traditional and Kenpo), Music, Drama, and Art. Additionally, BASIS.ed is proud to offer their signature Connections courses for grades 1–4. There are two different kinds of Connection courses: “All Connections” focuses on the knowledge students acquire in their other classes and brings it all together, presenting students with scenarios in which they work in small groups to solve problems, drawing on the entirety of their learning. “Fine Arts Connections” does the same, but focuses on their Fine Arts knowledge acquired in Music, Drama, and Art. The curriculum for students in grades 5–7 is the foundation that makes possible the academic achievements of the upper school. Students in 5th grade take Latin, General Science, Physical Geography, Math, Classics, English, PE, Art, and Music. Students in 6th grade study Physics, Chemistry, Biology, Math, English, U.S. History, and Latin, and also choose an elective. Electives include Band, Drama, Guitars, and Creative Writing. Please join BASIS Charter Schools on Tue, March 21, 2017 6:00 PM – 8:30 PM CDT on Woman’s Hospital campus (Conference Rooms 1, 2 and 3) to learn more about our model that includes: student accountability, mandarin (starting in Kindergarten), organizational skills/time management, and 100% college acceptance rate (into a 4 year college).